First of all, we want to thank the OSU Pride Center, the panelists & our college’s Cultural & Linguistic Diversity workgroup for organizing this excellent event. Over 40 people witnessed five panelists discuss their experiences as LGBTQ+ students, teachers and faculty in the K-12 educational system. The College of Education is proud to be a co-sponsor of this event with the OSU Pride Center. 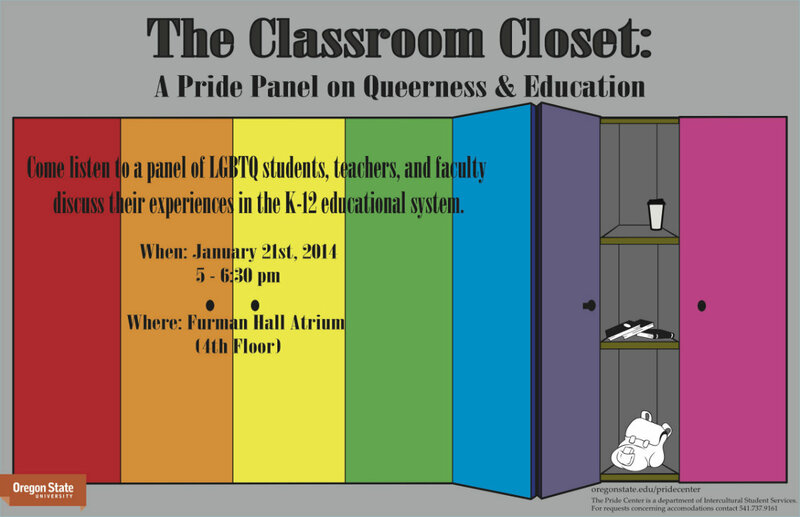 Come listen to a Pride Panel of LGBTQ students, teachers, and faculty discuss their experiences in the K-12 educational system. Our goal in partnering on this event is to discuss gender and sexual identity issues in education from both a student and teacher perspective. This is part of our professional development efforts, and we hope everyone leaves with some new resources/ideas for continued professional development. 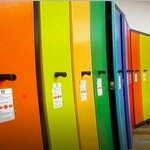 For more on this topic, please check out this blog post from Teaching Tolerance, who posted an anonymous blog entry from a gay elementary school teacher: The Classroom Closet . He is responding to a district’s screening of the Teaching Tolerance movie Bullied. (We do have a copy in the College of Education if you want to see it.) The blog entry is a moving read with several personal stories in the comments from readers.